Tendrils in a More Classical Design. A tendril is a specialized branch or stem with a threadlike shape that is used by climbing plants for support and attachment, generally by twining around whatever it touches. 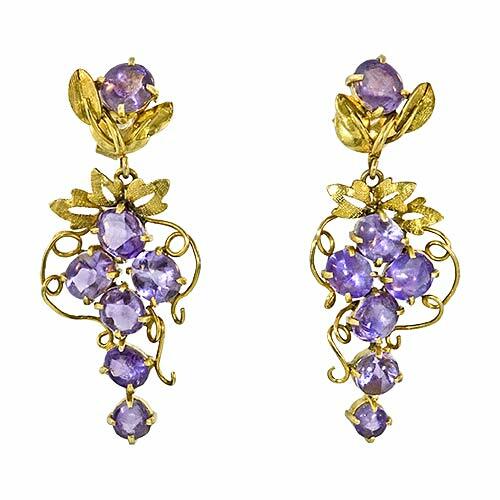 It is used by jewelry designers as a wire wrapping design, and style element in other pieces. Tendrils are a much-seen feature in Cannetille pieces but are still encountered today. The ease with which a metal wire is transformed to a pleasing looking tendril will guarantee it’s continuous existence. Tendrils Used in Jewelry. 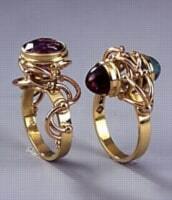 Two Contemporary Rings by Australian Jeweler Phill Mason.